While the hope is that you’ll never run into an emergency situation with your dental health, unfortunately it does happen. Being prepared with the top 5 things to do during a dental emergency could save your dental health or that of your child. Some of the dental emergencies that could strike include a broken tooth, horrible toothache, an abscess or a serious injury to the mouth. One of the first reactions when you or your child knocks out a permanent tooth, chips the front teeth or is otherwise injured might be sheer panic. Take a deep breath and phone the dentist’s office. Even if it is after hours, there should be an answering service that can direct you to the nearest emergency dental office or put in a call to your regular doctor to get you some help. According to WebMD, if the tooth has been knocked out of the socket, rinse it off with plain warm water. Hold the tooth by the crown, which is the part people see in the mouth. 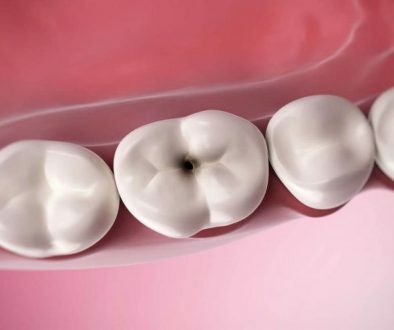 Try to avoid touching the root of the tooth. If you can, put it back in the socket facing the correct way. If you cannot, do not force it in. Instead, put it in a small cup of milk to protect it and get to the dentist immediately. If the tooth was chipped, gather up any of the chipped pieces and rinse them off. Also rinse out your mouth with warm water and apply a cold compress to the outside of your mouth. Get to the dentist immediately. If you have an abscess or serious pain, get to a dentist immediately. An abscess is an outward sign of a serious infection. The abscess is typically filled with puss. Get to a dentist as letting an abscess go can result in the infection spreading to other parts of your body and create a serious health situation. There are a number of reasons your mouth might bleed. Injury to the mouth, biting the tongue, blunt trauma, etc. Try rinsing mouth and applying pressure with a clean cloth. If this does not stop the bleeding, you will need to go to the dentist. 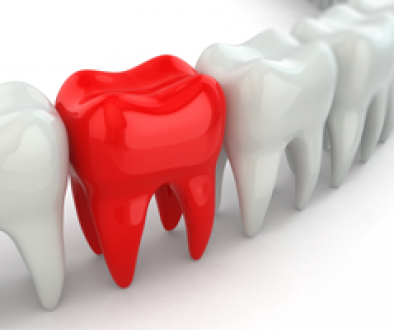 You may want to follow up even if you stop the bleeding to make sure there was no damage to the root of your teeth. The CDA recommends that you protect your dental health by wearing mouth guards during sports and other activities where injury might occur, not chewing on items such as ice and not biting or cutting things with your teeth when you should be using scissors. Want more tips on ways to protect your teeth? Come talk to our team of dental professionals!